We Genron company published the first issue of its triannual critical magazine Genron in fall 2015. Genron is a regularly issued publication that will carry on the critical awareness of Genron’s previous publication series Shisouchizu beta. 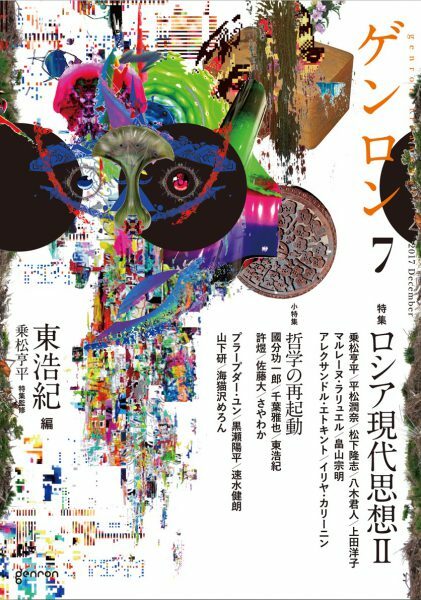 Genron offers both critical and analytical outlook on Japanese contemporary society and culture through this new publication. 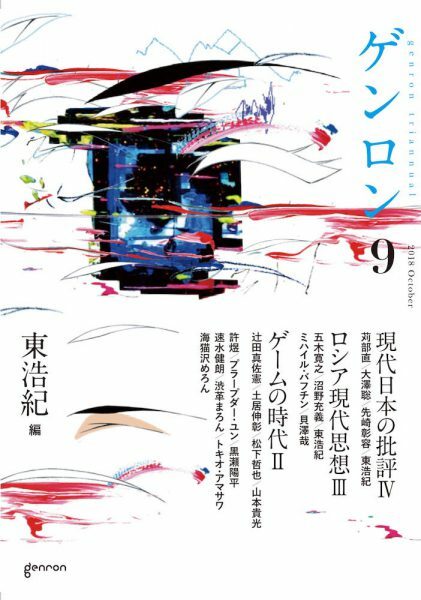 Each Genron issue will be sequentially numbered, and the first series of issues is planned to stretch for three years to Genron 9. While the inaugural issue Genron 1 was already released in last November, the pre-launch issue Genron 0 is still being prepared. 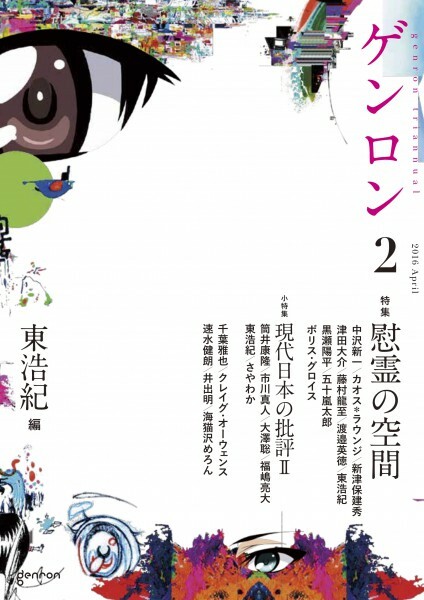 Issues are slated to be published with a length of about 300 pages and a price of 2,000 to 2,500 yen. Hiroki Azuma, the head of Genron company, supervises their planning and editing while he also contributes his papers and dialogues to each issue. 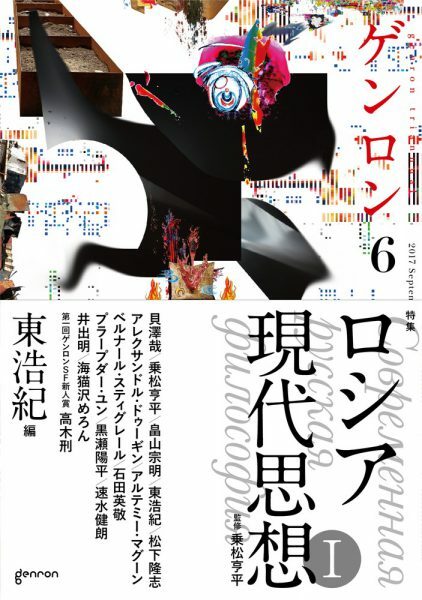 Genron 1, the first issue of Genron, takes as its main feature “Criticism in Contemporary Japan” in addition to its side feature “The Work of Art in the Age of Terrorism.” It features a diverse array of writers, including Tadashi Suzuki, Ikuo Kameyama, Boris Groys, Craig Owens, Atsushi Sasaki, Satoru Osawa, Kenro Hayamizu, Melon Uminekozawa, Yohei Kurose, etc. 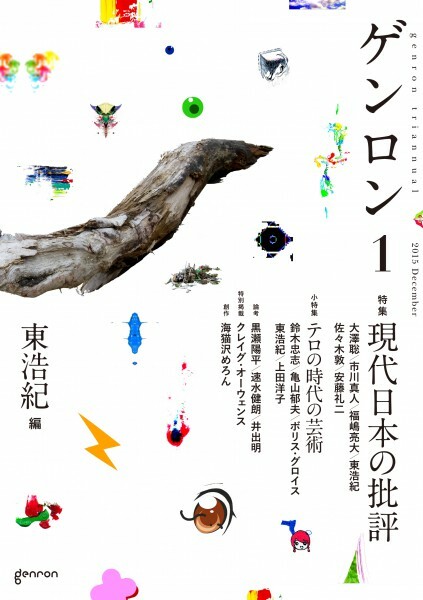 Genron 0 takes as its theme “The Philosophy of Sightseeing” and will be a completely new written work by Azuma alone. The table of contents of future issues will be announced on this site. The envisioned readership for Genron includes students and researchers as well as educated citizens with an interest in humanities in general. 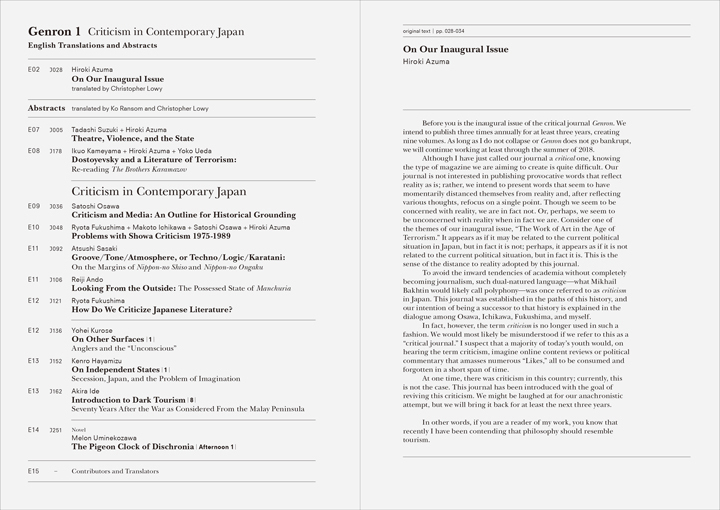 The issues are published in Japanese language while we use the final pages of each issue for English translations and summaries to ensure access to our arguments for global readers interested in Japanese contemporary thought. Only a limited number of Genron will be printed, and they will only be sold through select bookstores. If you wish to ensure that you receive a copy, we recommend joining Genron Supporters (Genron Tomonokai). E-book editions of each Genron will be for sale on Amazon Kindle. We also publishes an affiliated online magazine titled Genron B(beta) monthly and sent it to the members of Genron Supporters. Japan is now witnessing a rapid growth of the number of individuals who boast that literature or humanities are not needed any more in our nation and openly scorn for critical discourses. 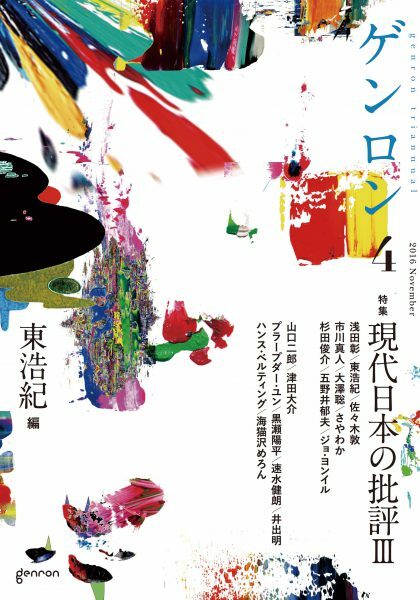 It reflects rise of political passiveness and conservatism of citizens but also implies the impotence of Japan’s humanities-based intellectuals to cope with our political reality. 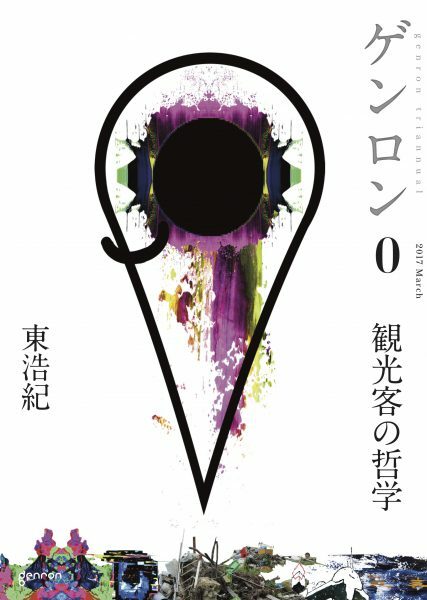 We here hope to bring back to life the rich and unique tradition of Japanese critical thought by the publication of this periodical besides our other attempts Genron Café and Genron School. English translations and summaries of some papers available in each issue. Tokio Amasawa, Mikhail Bakhtin, Nobuaki Doi, Yuk Hui, Hiroyuki Itsuki, Tetsuya Matsushita, Akinaka Senzaki, Takamitsu Yamamoto, et al. Akito Inoue, Yohei Kurose, Sayawaka, Hiroshi Yoshida, Katsura Hashino, Ibai Ameztoy, Alexander R. Galloway, Oleg Aronson, Helen Petrovsky, Yuk Hui, et al. 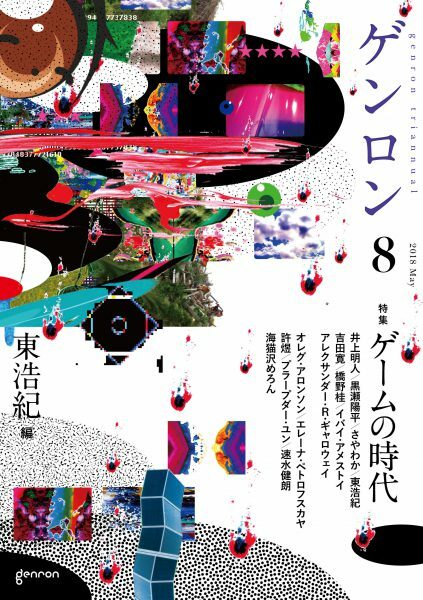 Kyohei Norimatsu, Junna Hiramatsu, Takashi Matsushita, Naoto Yagi, Marlene Laruelle, Ilya Kalinin, Alexander Etkind, Muneaki Hatakeyama, Masaya Chiba, Koichiro Kokubun, Dai Sato, Sayawaka, Yuk Hui et al. 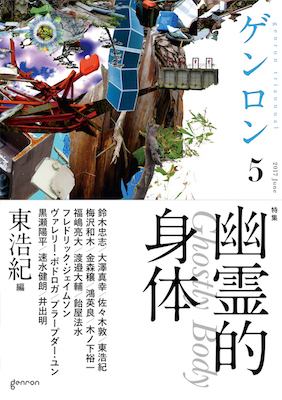 Kyohei Norimatsu, Hajime Kaizawa, Muneaki Hatakeyama, Takashi Matsushita, Aleksandr Dugin, Artemy Magun, Bernard Stiegler, Hidetaka Ishida, Kei Takagi et al. Tadashi Suzuki, Masachi Osawa, Atsushi Sasaki, Norimizu Ameya, Hidenaga Otori, Yuichi Kinoshita, Ryota Fukushima, Daisuke Watanabe, Fredrick Jameson, Valery Podoroga et al. Akira Asada, Satoshi Osawa, Atsushi Sasaki, Shunsuke Sugita, Daisuke Tsuda, Jiro Yamaguchi, Prabda Yoon et al. Makoto Aida, Noi Sawaragi, Sunjung Kim, Park Chan-Kyong, Hans Belting, John Clark et al. Yasutaka Tsutsui, Shinichi Nakazawa, Daisuke Tsuda, Boris Groys, Masaya Chiba et al. Tadashi Suzuki, Atsushi Sasaki, Ikuo Kameyama, Boris Groys et al. 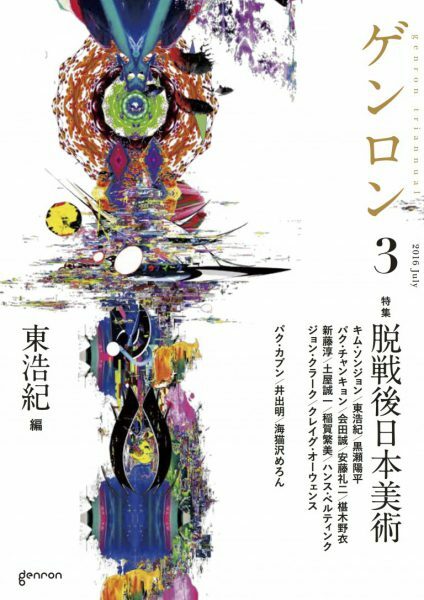 Genron is being sold at selected bookstores, including Books Kinokuniya, Aoyama Book Center, Junkudo, Maruzen, Sanseido, Parco Book Center and more. Please contact us at info@genron.co.jp for further information.